Tara is unofficially our designated communicator when it comes to foreign languages. That isn't to say that I don't speak; in fact, I try really hard! I'm not shy about using the phrases I know, but sadly, my brain doesn't seem to be wired for learning spoken languages. Computer programming languages on the other hand, those are a breeze! For example, instead of accepting that "Bonne chance!" simply means "Bonne chance! ", my brain dumbly translates to its English counterpart, "good luck" before it registers. It takes a lot of memorization and repetition before I can break this cycle for even the most basic phrases. Contrast this with Tara, who speaks perfect French (so perfectly, in fact, that I've now heard "Mais, vous n'êtes pas Francaise!?" enough times to stop translating it into "But, you're not French!?") and somehow picked up Italian by osmosis in a matter of days. While I was still wrestling with re-wiring my brain to say "si" instead of "oui", she was happily buying our food, making small talk with shop owners and explaining our trip in great detail to any passerby who happened to inquire. I'm not complaining, I deeply value Tara's language skills. Her knack with them has greased the wheels of our trip on more occasions than can be counted. At the moment though, Greek is proving to be a little more confusing for her than she thought it would be. Until it all just magically falls into place for her, I must confess that I am enjoying her bumbling along with me! Now I can tease her for pronouncing things wrong (something I do constantly out here). 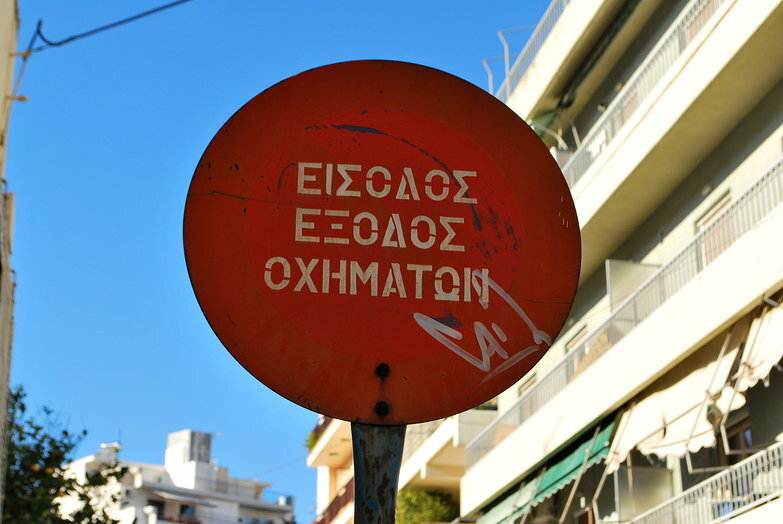 We've spent a lot of time the last day or two drilling one another with important Greek words like "Hello/Goodbye/Please/Thank You/Yes/No" etc. More complicated phrases like "How much is this? ", "Where is the bathroom?" and "I don't speak Greek, do you speak English?" are slowly coming together as well. While our spoken language skills are improving, our reading skills are currently at a standstill. Greek is tricky in its quasi familiarity. Some letters are the same as English… or are they? What looks like an H "transliterates" into an I (as in ski, which, if you ask me, should be an E), P sounds like an R and god only knows how I am going to stop thinking 3.141592… every time I see π (mercifully, it makes a P sound). We'll have a passable vocabulary by the time we leave but I doubt if we'll be able to read any of the words we know how to say! Thankfully everyone so far has been friendly and patient with our maladroit attempts at speaking Greek. In fact, they usually start speaking English with a smile after we mangle a sentence or two. In a little over a month we'll start all over in Serbia, followed by Romania, Moldova and Ukraine. After that comes Russia and its bizarre Cyrillic. My brain is going to be mush by the time we get home. Thankfully, being able to easily communicate with anyone again will probably feel like a superpower! Snow in Switzerland and France so enjoy the Greek weather. My brain processes languages like that too until I become more comfortable with the language. When we were studying Arabic for our deployment to Iraq, even though I would speak a word/ phrase, I always thought of it in English first. Same for when people responded back to me, I'd have to translate it in my head, then remember how to respond. Of course after being over there immersed in the culture/ language for about two months, it stopped being a mental translation and became second nature. Of course my buddy from highschool was just like Tara, except with German. Took four years of it, was a natural, then enlisted in the Air Force, studied Russian and became a linguist for a few years. He just had a natural talent/ nack for it. I can't resist saying, too, that by far the most stellar and beautiful part of the Balkans is Slovenia, and coming in second (and much more like parts of Italy) is Croatia. Bosnia is beautiful and fascinating too. I'd highly recommend checking them out! Bulgaria is probably my favorite country amongst Romania/Bul/Moldova/Ukraine...and from my calculations you will have to get through it to Romania! :) Cheers! Enjoy! I second the nomination for going through Slovenia and Croatia. The Lake Bled region of Slovenia always seemed to me a perfect (albeit hilly) place for cycling. However, I recognize that it's probably not the most direct path between Greece and Moscow to go that far west. 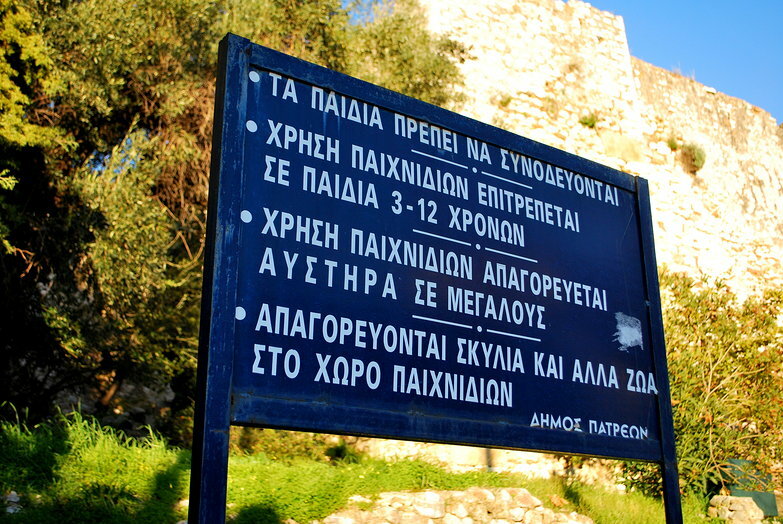 If you manage to figure out the Greek alphabet before you leave Greece, I think you'll find Cyrillic easier than you might expect, as it has much more in common with the Greek alphabet than the Roman alphabet, although Serbian, Bulgarian, Ukrainian, and Russian each have one or two unique characters.